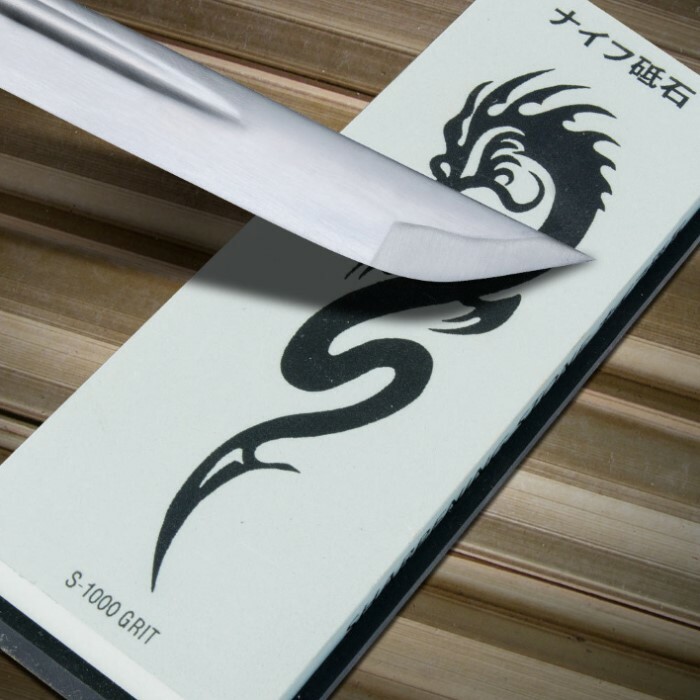 Japanese Water Stone Sharpener 1500 Grit Fine | BUDK.com - Knives & Swords At The Lowest Prices! This Japanese water stone is the time honored method of knife sharpening. These Japanese stones have a few advantages over harder stones. Because they are softer, they do not become glazed or loaded with the material they are sharpening. New particles are constantly exposed as you work with them and thus they continue to cut consistently. They can be effectively lubricated with water so nothing but water is required. Finally, because they are soft, the worn material and the water form a slurry that in conjunction with the stone, sharpens and polishes the blade.